Size:18 inches x 10 inch Girth. 140 tips. Black Mini Tree. Christmas and Halloween Trees by Kurt Adler. Size: 6 inches. 32 Tips. Mini Canadian Pine Christmas Tree on Burlap Base. Darice Home Decorations and Home Decor. Christmas Trees Holiday Collection. Size: 32Hx10Dia inches. 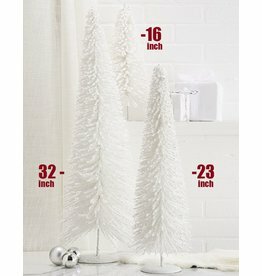 White Winter Wonderland Glittering and Flocked Table top Christmas Tree. By Two's Company Fine Decorative Home Accents and Gifts. Size: 23.5Hx7Dia inches. White Winter Wonderland Glittering and Flocked Table top Christmas Tree. By Two's Company Fine Decorative Home Accents and Gifts. Size: 16Hx6.5Dia inches. 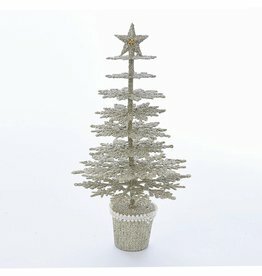 White Winter Wonderland Glittering and Flocked Table top Christmas Tree. By Two's Company Fine Decorative Home Accents and Gifts. Set of 3. Sizes: 16Hx6.5Dia, 23.5Hx7Dia, 32Hx10Dia inches. 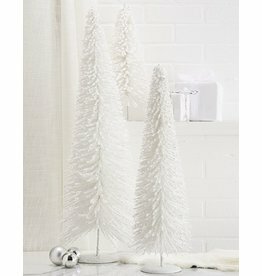 White Winter Wonderland Glittering and Flocked Table top Christmas Trees. By Two's Company Fine Decorative Home Accents and Gifts. Size: 30 inches tall x 20 inch Girth. Pre Lit Tree with 110 tips and 50 UL approved clear lights. Pre-Lit Christmas Trees by Kurt Adler. Size: 15 inches. 144 Tips. Mini Pine Christmas Tree on Wood Base. Darice Home Decorations and Home Decor. Christmas Trees Holiday Collection. Size: 48 inches. Light up birch tree with LED Warm Lights. Darice Home Decorations and Home Decor. Christmas Holiday Collection. Christmas and Holiday Trees Display Collection. Size: 24 inches. 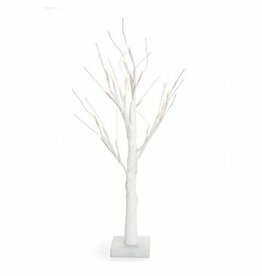 Light up birch tree with 24 LED Warm Lights. Darice Home Decorations and Home Decor. Christmas Holiday Collection. Requires 3 AAA Batteries not included. Christmas and Holiday Trees Display Collection. Size: 18 inches each. Mini Christmas Tree Snow Glittered w Burlap Base. Darice Home Decorations and Home Decor. Christmas Holiday Collection. 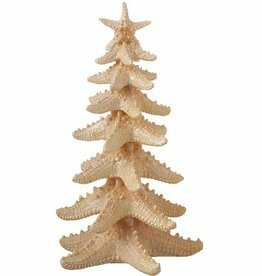 Miniature pine tree with 125 tips on round wood base. Size: 12 inches tall. Seasonal and Holiday Decorations by Kurt S. Adler. Size:5 foot. Single Pre Lit Potted Tree with 286 tips and 100 UL approved clear lights. Use: Indoor Outdoor. Christmas Trees by Kurt Adler. Size: 6 foot . Pre Lit Tree with 152 UL approved warm white LED Twinkle Lights. Christmas Trees by Kurt Adler. Minature Tabletop Plastic Glittered Tree. Size: 6 inches. 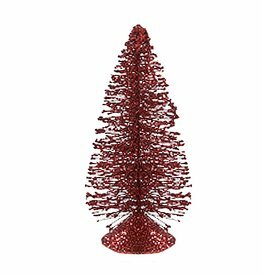 Seasonal and Holiday Decorations - Christmas Trees by Kurt S. Adler. Size:5 foot. Set of 2 Pre Lit Potted Trees with 286 tips and 100 UL approved clear lights. Use: Indoor Outdoor. Christmas Trees by Kurt Adler. Silver Shatterproof Ball Ornaments 2 tone. Set of 6 includes 2 assorted of 3 Shinny Silver Ornaments, 3 Matte Silver Ornaments. Size: 100mm. Christmas Ornaments and Decor by Kurt S. Adler featuring Shatterproof Ornaments, and Themed Ornaments.